Always read the label and follow instructions. If symptoms persist, talk to your healthcare professional. ENDOR™ Facial Cleanser is to help de-clog the skin pores and to combat facial bacteria and mites and other skin parasites, that can cause acne, pustules and spots. Wash face with water, dispense cleanser in your hand and apply onto the skin. Gently rub in and leave for 1-2 minutes. Rinse well with cool water. Use in conjunction with ENDOR Rosacea cream. If symptoms persist, talk to your healthcare professional. 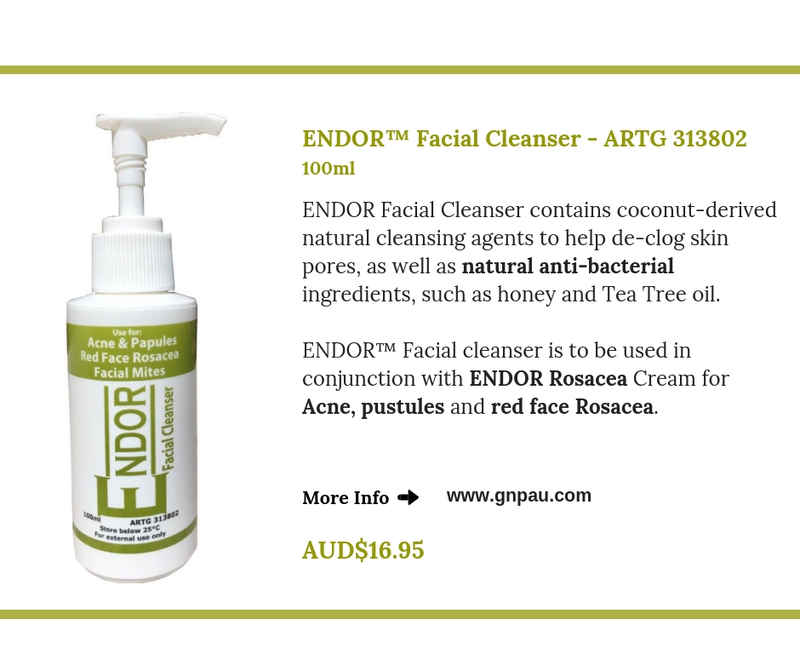 In our blog you can find the list of FAQ about ENDOR™ Facial Cleanser. Please click here to read it. For information regarding Best Results, please click here. If symptoms persist, talk to your healthcare professional. Aqua, Canthick, Iselux, Sodium Hydroxide, Genagen, Microcare, Colamide, Gluco E20 Methyl Gkuceth 20, Aloe Vera Gel, Honey, Salicylic acid, Tea Tree Oil, Lavender Oil, Saliguard. Always read the label and follow the instructions for use. If symptoms persist, talk to your healthcare professional.